MANIFEST`s latest album Written In Blood was released in Norway in 2010 and the rest of Europe in 2011, by MANIFEST`s own label Violent Media. The album made it`s way into several European top 10 and top 20 lists of albums released in 2011 and received a surprisingly good amount of radio airplay, considering it`s brutal approach. The album was followed by touring clubs through Europe and playing festivals with bands like Entombed, Napalm Death, Meshuggah, Malevolent Creation & The Haunted. 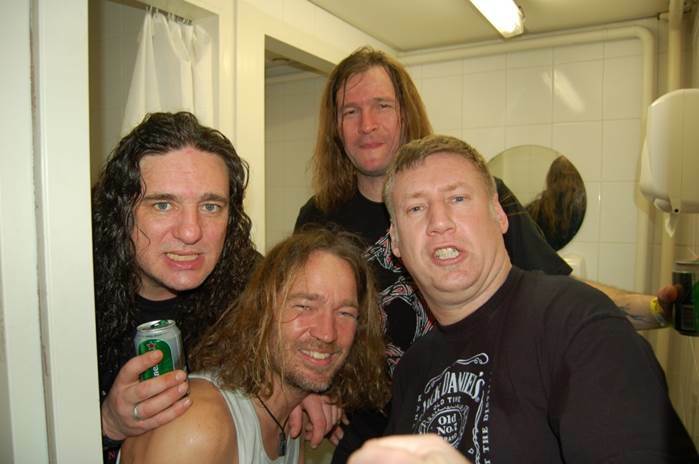 Iconic thrash metal band TANKARD have posted their final studio report detailing the making of their upcoming album “R.I.B.”. This time, manager Buffo and producer Michael Mainx explain the recording progress and reveal some new details of the album. producer Michael Mainx (BÖHSE ONKELZ, DER W, D-A-D, DISBELIEF), who also produced the last two albums. The new album will be titled “R.I.B.” and is set to be released June 20th, 2014 via Nuclear Blast. More information coming soon – stay tuned.